Some Health Benefits of drinking Tea are: Anti-cancer properties, Increases metabolic rate, Possible anti-diabetes effect, Boosts immune system and many more. 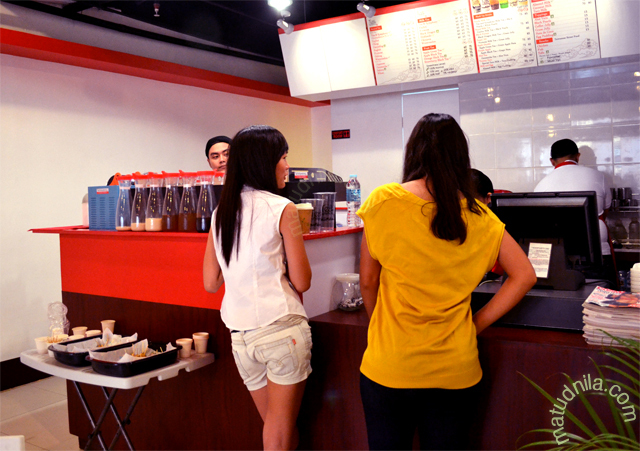 Tea and Symphony is one of Cebu's Milk Tea Café that offers Fresh Brewed Teas to both the local Cebuanos and Asian tourist in Cebu. 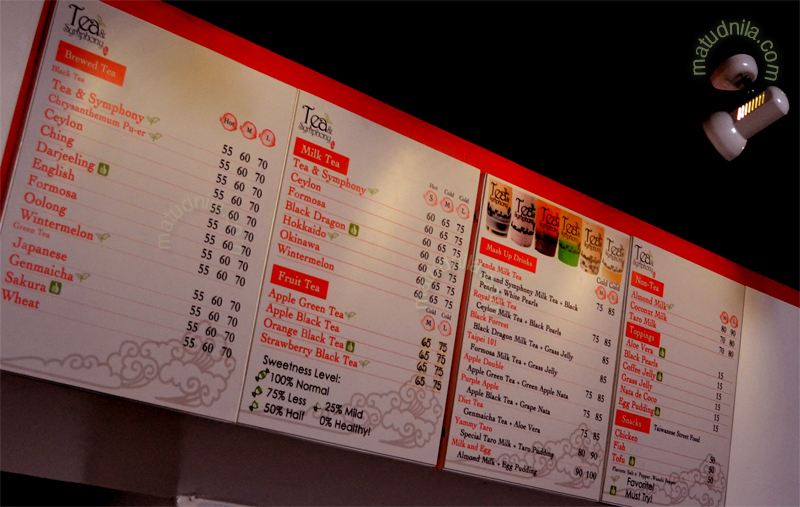 Tea and Symphony is located at the front facade of University of Cebu (UC) Banilad Campus which just opens last February 19, 2012. Tea & Symphony Cebu serves a variety of Brewed Teas, Fruit Teas, Milk Teas, Non Teas, Tea toppings and Snacks mostly Taiwanese Street Food chickenm Fish or Tofu. My Personal favourite is Tea & Symphony Milk Tea : ) Since i prefer sweets. Some of Tea and Symphony Cafe Brewed Tea Offering are: Tean and Symphony Tea, Chrysanthemum Ouer Tea, Ceylon Tea, Ching Tea, Darjeling Tea, English Tea, Formosa Tea, Oolong Tea, Wintermelon Tea, Japanese Tea, Genmaichs Tea, Sakura GreenTea and Wheat Green Tea. Tea and Symphony Cafe Fruit Teas offering includes Apple Green Tea, Apple Black Tea, Orange Black Tea and Strawberry black Tea. Tea and Symphony Non Tea list are Taro Milk, Coconut Milk and Almond Milk. Tea and Symphony Cafe's best offering is their Milk Teas namely: Tea & Symphony, Ceylon Milk Tea, Formosa Milk Tea, Black Dragon Milk Tea, Hokkaido Milk Tea, Okinawa Milk Tea and Wintermelon Milk Tea. Milk Tea topping are Aloe Vera, Coffe Jelly, Nata de Coco, Egg Pudding and Taro Pudding. Tea and Symphony Cebu is open from 9am to 10pm on weekdays and 1pm to 10pm on weekends. Tea and Symphony is a Free Wifi Internet zone cafe. You may contact Tea & Symphony at 416-1716 or Email, teasymphony@ymail.com. Parking space is available for Tea & Symphony customers only. 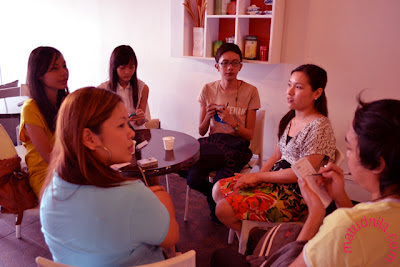 0 comments: on "Milk Tea Café in Cebu - Fresh Brewed Tea at Tea & Symphony"